PARiM in an online employee scheduling solution that is easily accessed via an internet browser. From time to time there might be some issues that are caused by the browser you are using. 1. Please check that your browser is up to date. You should use the latest available version for your operating system. 2. 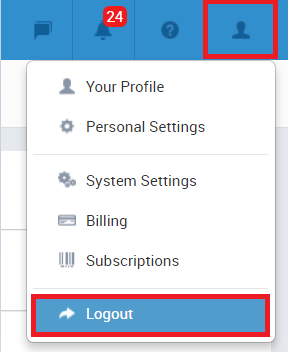 Log out and back into your PARiM account by using the 'Logout' option from the upper right corner, not just close the browser. 3. Open or log into your PARiM account in a different web browser. If you don’t have the same problem in there, then the issue is likely isolated to the first browser. When you reach out to us, then please let us know which browsers you tried. 4. Please clear your browser cache and cookies. Please have a look on how to do it in the browser you are using - Clear your cache. 5. If you have other devices or connections available, like another computer or wireless network, try opening or logging into your site with them. If you don't have the same problem there, then the issue may be related to the first device or connection. If you’ve tried all of the steps above and you’re still having trouble, contact us via Blue Bubble chat icon. Let us know which steps you’ve tried so we can continue to troubleshoot. We might ask you for a screenshot of the issue so we can see what you're seeing.